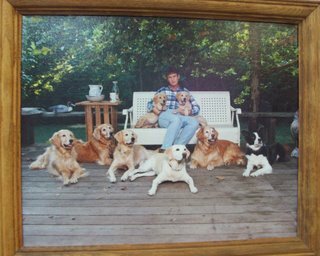 I have had dogs, dogs, and more dogs - I Luv Dogs. 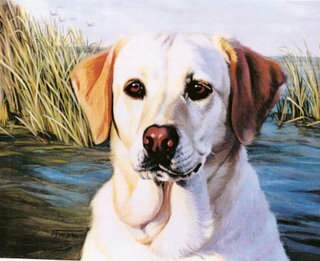 Debbie Fuelberht - I just love it. 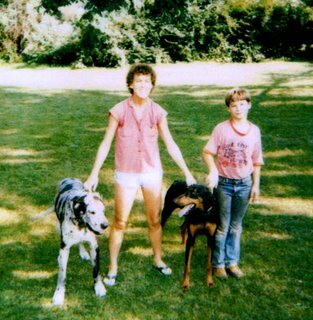 with Quest, Leah, & a pup. 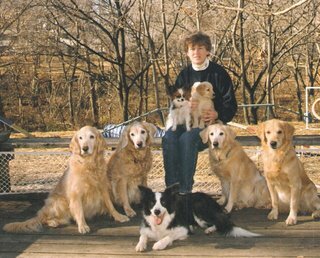 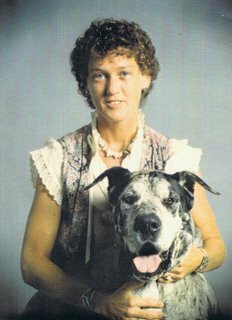 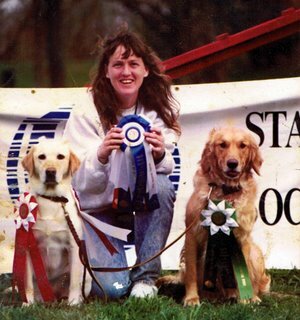 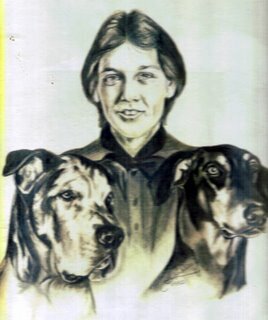 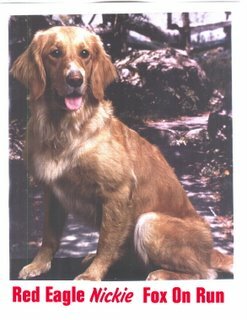 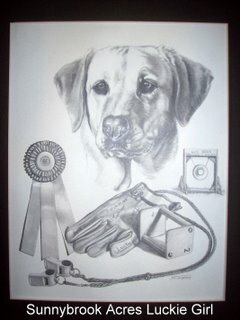 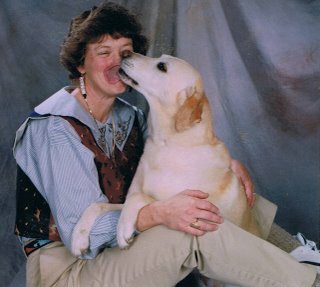 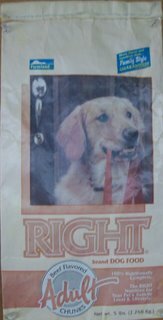 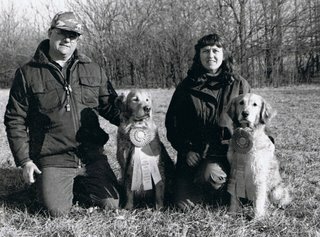 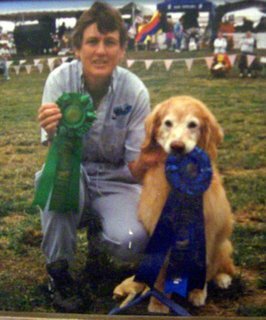 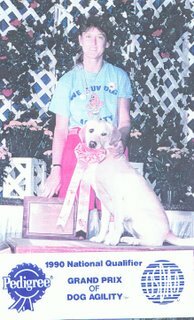 Luke was my first real obedience dog. 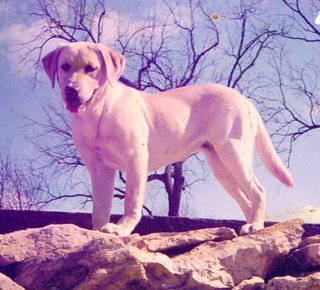 A very sweet yellow lab female..
Luke and Luckie - what a pair. 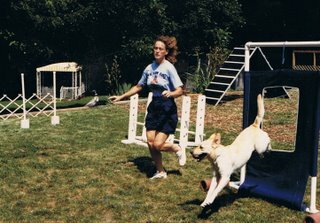 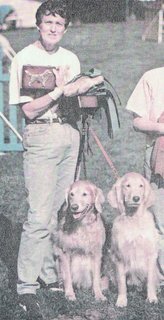 Me doing Agility with Luckie in 1989. 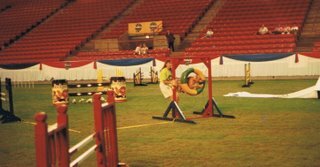 Luckie placed 13th in Houston. 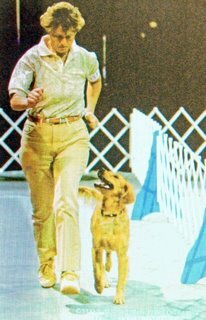 And Then Came Red Eagle Nickie Fox On Run. 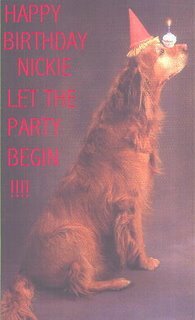 Nickie was truly One Of A Kind. 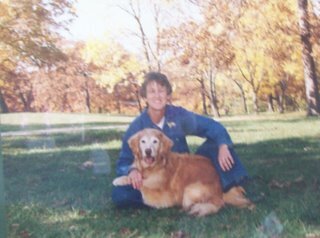 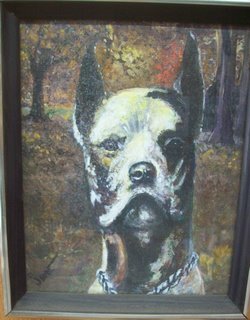 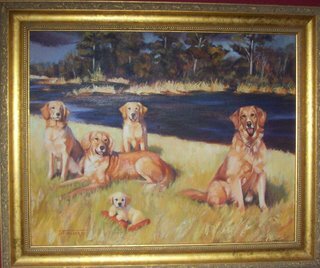 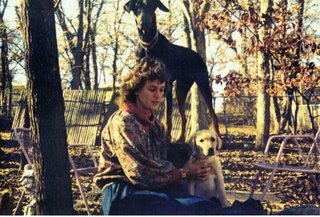 Nickie was a Wonder Dog - with honors in Dog World. 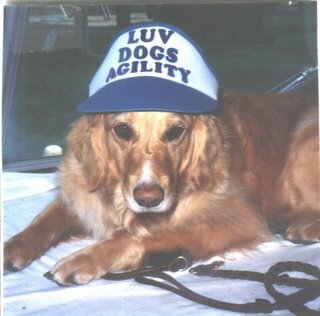 versatile dog who loved agility. 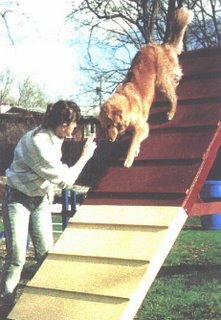 Nickie running a course at the Astro Hall in Houston at the USDAA Nationals. 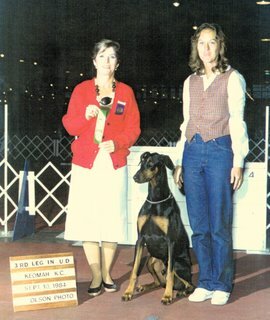 Cajun was quite a girl. 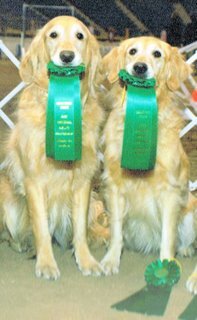 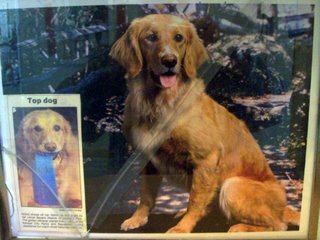 She was the beginning of my breeding program and was an ad star as well. 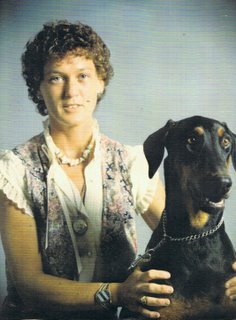 And then Cajun had Jammer and Dee-O-Gee. 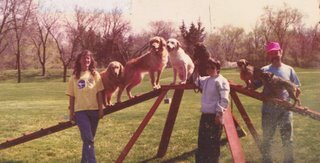 They were a couple of Keepers, for sure. 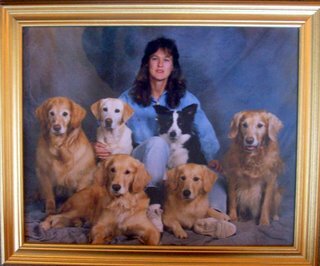 I also got a Border Collie pup, Quest, who added some zip to my life. 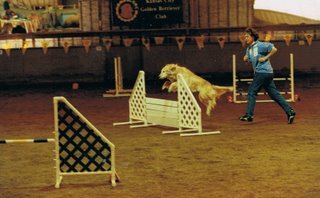 Nickie, Cajun & Luckie on an Agility CrossOver. 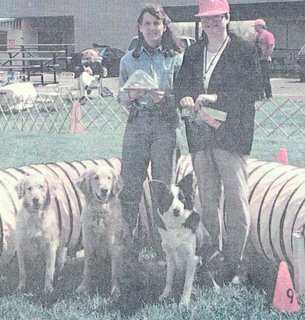 That's Keith Harold in the pink hat with his border terriers.